The Hague / Luxembourg, 16 January 2018 – At the opening of the European Year of Cultural Heritage, Europa Nostra, the leading heritage organisation in Europe, and the European Investment Bank Institute announce the 12 heritage sites shortlisted for the 7 Most Endangered programme 2018 by a panel of experts in various fields. These endangered heritage landmarks from 10 European countries are: the Historic Centre of Gjirokastra, Albania; the Post-Byzantine Churches in Voskopoja and Vithkuqi, Albania; the Historic Centre of Vienna, Austria; the Coal Preparation Plant in Beringen, Belgium; the Buzludzha Monument, Bulgaria; the Aerial Cableway Network in Chiatura, Georgia; the David Gareji Monasteries and Hermitage, Georgia; the Castle of Sammezzano, Tuscany, Italy; the Constanta Casino, Romania; the Prehistoric Rock-Art Sites in the province of Cadiz, Spain; the Prinkipo Greek Orphanage, Princes’ Islands, Turkey; and the Grimsby Ice Factory, United Kingdom. Some of these sites are in danger due to neglect or inadequate development, others due to a lack of resources or expertise. 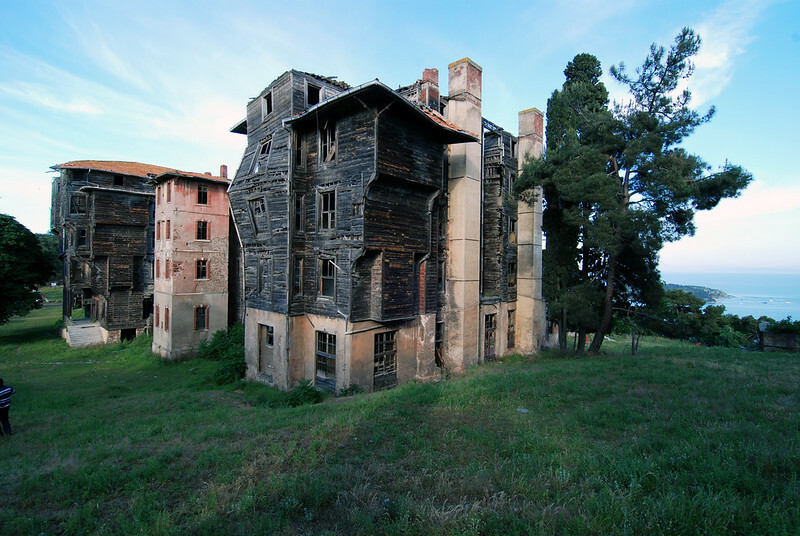 The final list of 7 most endangered heritage sites in Europe will be unveiled on 15 March. The city of Gjirokastra is situated in the Drino valley, the richest archaeological area in Albania, dating back to the middle Bronze Age. 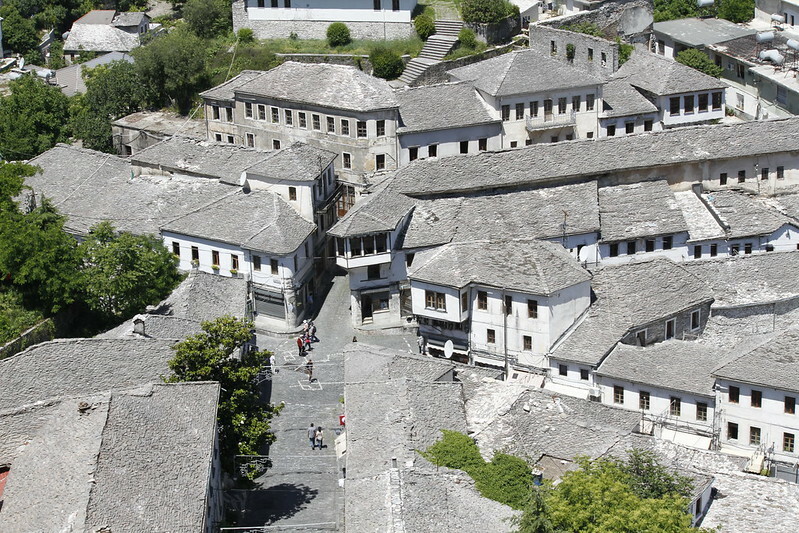 The Historic Centre of Gjirokastra has been inscribed on the World Heritage List since 2005. It includes several types of constructions, such as social and public buildings, places of worship and residences, all harmoniously composed in an outstanding historical urban landscape. The core of the Centre is the old bazaar with shops found in parallel lines, representing an urban character typical of the 17th and 18th-centuries. Out of 615 monuments located in the Historic Centre, more than half are subjected to illegal or out of context constructions, while 169 are in critical condition or at risk of collapse. Moreover, a controversial Bypass Road project has recently been approved by the national and local authorities. This development will seriously damage the structural and visual integrity of the Centre, which is the essence of its outstanding value. The Gjirokastra Foundation made the nomination for the 7 Most Endangered programme 2018. 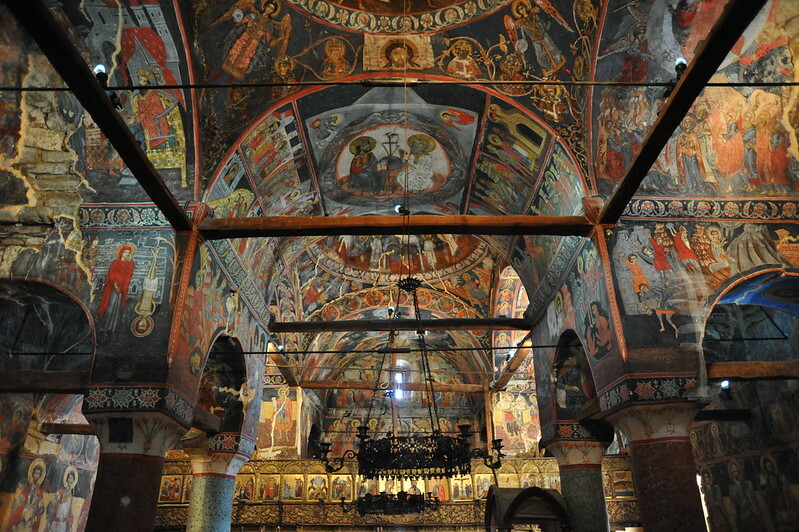 A number of Post-Byzantine churches in Voskopoja and Vithkuqi, situated in southeastern Albania, are the most representative monuments of 17th-18th century ecclesiastical art in the Balkans and are masterpieces of the post-Byzantine style. War, plundering and natural disasters have seriously damaged this group of 12 churches. The surrounding Christian population has greatly declined and a subsequent lack of clergy has resulted in the majority of the churches remaining unused for most of the year. The main threat now is the total negligence by those administratively responsible for the churches at the national level, namely the Institute of Cultural Monuments. The listed Church of Saint George in Voskopoja, which won a Europa Nostra Award in 2011 for its outstanding conservation, faces the threat of theft and highlights the urgency with which these remarkable churches need to be protected. The nomination for the 7 Most Endangered programme 2018 was submitted by “The Past for the Future” Foundation. The Historic Centre of Vienna has immense significance to Europe’s tangible and intangible culture, as a city of great architectural importance and as an exceptional centre for the development of arts. In 2001, it was inscribed on the UNESCO World Heritage List. In 2012, a high-rise development, which will include the rebuilding and enlargement of the Hotel Intercontinental, was planned on the site of the Vienna Ice-Skating Club. The development would totally spoil the most famous view of the city from the Belvedere Palace and Gardens. 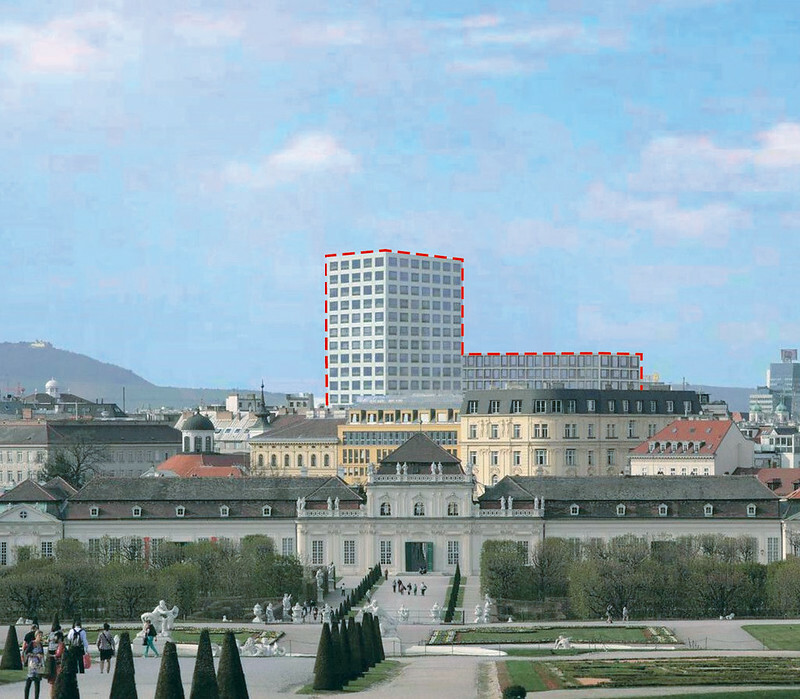 In 2014, the City Council of Vienna issued a “High-Rise Concept” and a “Glacis Master Plan” which permit the construction of high-rise buildings on several points of the Ringstrasse area. These high-rise buildings would spoil the urban character of this area as well as the roofscapes and morphology of the Historic Centre of Vienna. Following numerous and unfruitful exchanges with Austria and the Vienna City Council, the World Heritage Committee inscribed the Historic Centre of Vienna on the List of World Heritage in Danger in July 2017. Europa Nostra Austria made the nomination for the 7 Most Endangered programme 2018. 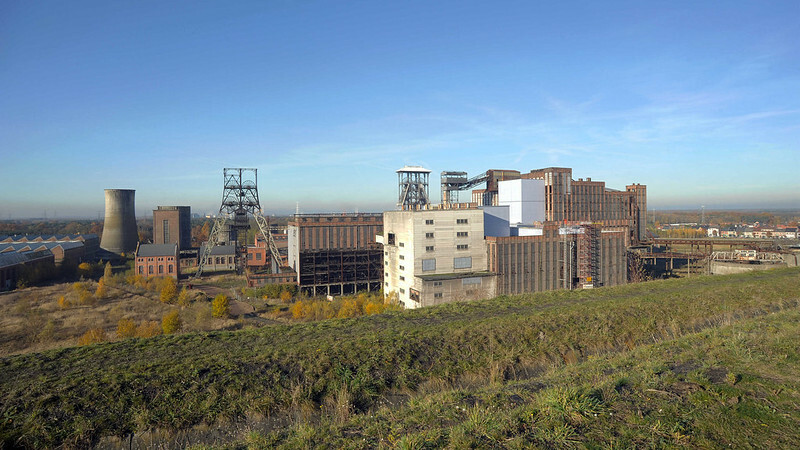 The Coal Preparation Plant in Beringen, with its equipment, is the only such plant preserved on a European and even on a global scale. The construction of this large coal preparation plant started in 1923-1924 (coal washery 1) and was later enlarged (coal washeries 2, 3 and 4). The four components form one building, which was classified as an Historic Monument in the 1990s by the Flemish Government. In 2009, the re-use of the mine was assigned to the PPP Company BE-Mine and its partners. The company concluded that the conservation of the complete coal preparation plant was not possible and – without a thorough study of the building’s history – decided on the imminent demolition of coal washeries 1 and 3. The company’s plans for development suggest keeping just one of the four buildings. This proposal neglects to acknowledge the importance of the integrity of the building. The demolition of the first component could set a dangerous precedent for further destruction of the building, leading to the incremental loss of the entire site. The nomination for the 7 Most Endangered programme 2018 was submitted by the Flemish Association for Industrial Archaeology. Located in the mountains in the heart of Bulgaria, the Buzludzha Monument is an imposing example of 20th-century Modernist architecture. The building now attracts increasing international attention. Built in 1981 to be the House-Monument of the Bulgarian Communist Party, the structure was used for just 8 years. 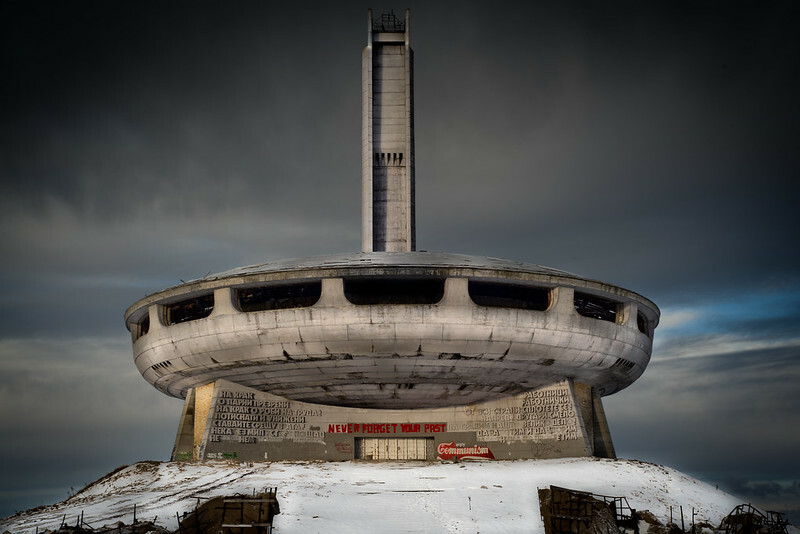 Soon after the end of the Communist regime, the monument was abandoned and has since been victim to thefts, vandalism and severe weather conditions. The ostentatious finish of its Brutalist architecture, heavy iconography and colourful mosaics has decayed. No action has been taken by the responsible authorities to protect the site so far. The Buzludzha Project Foundation, which made the nomination for the 7 Most Endangered programme 2018, proposes that the Buzludzha Monument could become an example for the preservation of other similar heritage sites throughout Eastern Europe. Conservation work and the preparation of the monument for sustainable tourism are suggested as the most viable long-term solutions for its survival. In 1913, the booming manganese mining industry led to the creation of a unique cargo and civic cableway network in Chiatura. The network – composed of 18 passenger and 27 cargo cableways – is striking in its diversity of architectural styles and engineering solutions. 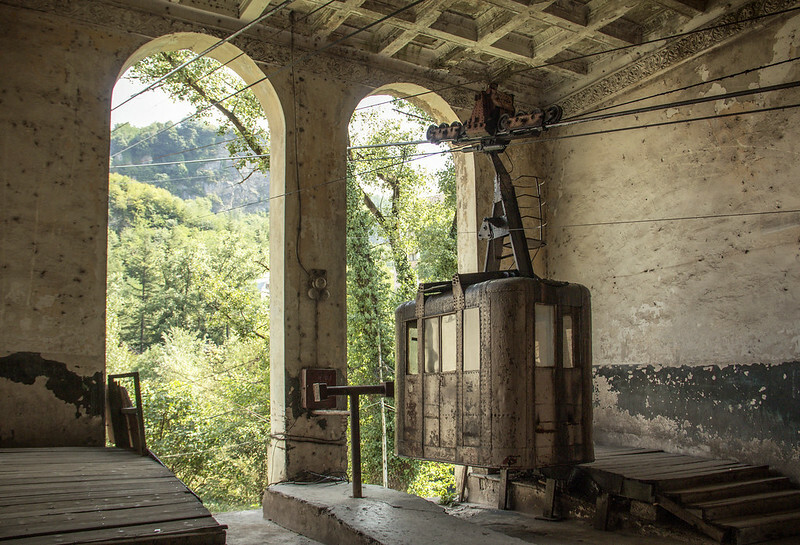 The absolute majority of cableways retain their original architectural and technological components. The “Perevisa-Town” cableway and various buildings are listed as historic monuments. Most of the cableways are owned and operated by the private mining corporation LLC “Georgian Manganese” and the municipal administration. Due to the lack of maintenance, many of the passenger cableways have deteriorated and have been closed down. Few of the cargo cableways function today. This important site of industrial heritage benefits from the support of local and national institutions, including the nominator, the Ministry of Culture and Monuments Protection of Georgia. However, (trans)national funding seems to be lacking, which threatens any sort of viable future for the cableway network. The David Gareji Monasteries and Hermitage are located in Eastern Georgia, on the semi-desert Iori plateau and partly extend into neighbouring Azerbaijan. Dating back to the 6th-century, the site is comprised of 22 rock-hewn monasteries and more than 5,000 sanctuaries and cave-cells. The combination of rock architecture, medieval murals, prehistoric archaeology and paleontological fields makes the entire ensemble a masterpiece of Georgian culture. It is registered as a Monument of National Importance. 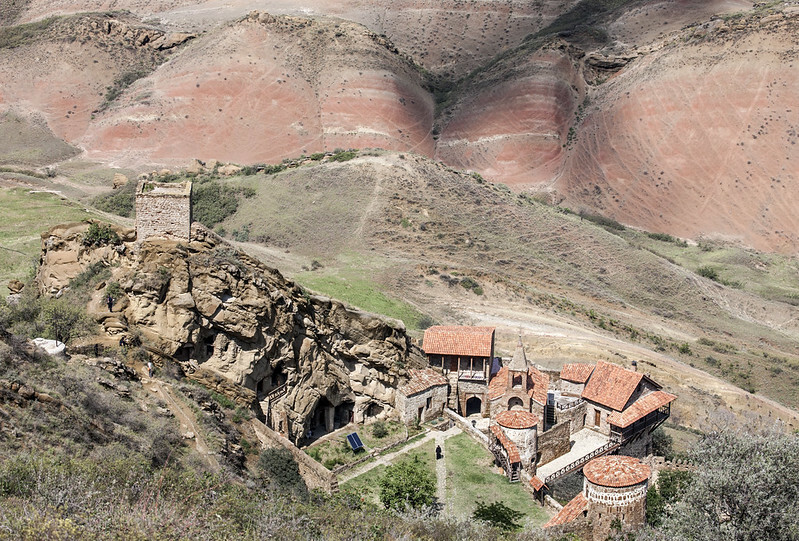 The monastery complex faces the threat of irreversible deterioration. The main problem is the disintegration of the rocks. The churches and other spaces suffer extreme structural damage. The collapse of the structures also threatens the wall paintings. The monastery complex is under the ownership of the Patriarchate of Georgia. It is still an active monastic center with daily services and this adds to its importance and underlines the urgency of its preservation. Increased tourism to the site presents an opportunity but its sustainability needs to be addressed. The Georgian Arts and Culture Center submitted the nomination for the 7 Most Endangered programme 2018. The Castle of Sammezzano is a rare example of eclectic and Moorish architecture in Europe. 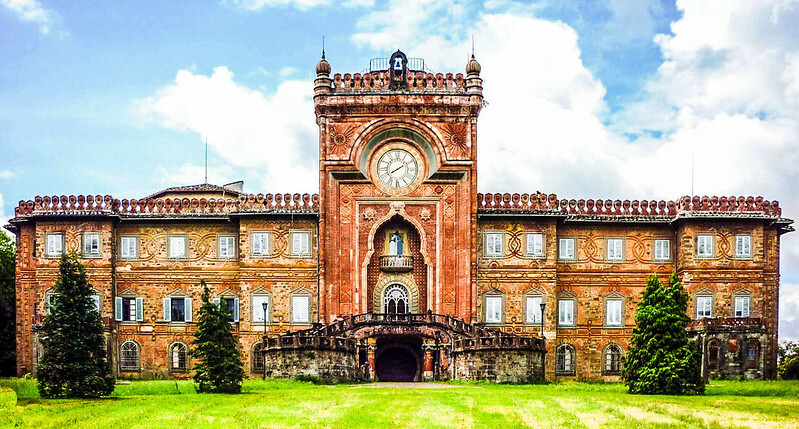 Over the second half of the 19th century, this formerly medieval castle was transformed into a fine example of the Orientalist fashion by Marchese Ferdinando Panciatichi Ximenes d’Aragona. Ferdinando was influenced by several Eastern trends, focusing on two particular styles: Arabic-Moorish, with its white “intertwined ropes” of stucco, and Indo-Persian, characterized by strong polychromatic colours. Following the Second World War, the castle became a luxury hotel. However, for over 25 years the site has been unoccupied and neglected with its ownership remaining insecure. As a result, broken windows have gone unmended and leaking roofs unrepaired, which in turn led to severe water damage and major deterioration of the fabric of the building. The lack of security has laid the site bare to thefts and vandalism. The Touring Club Italiano, together with the Save Sammezzano movement, made the nomination for the 7 Most Endangered programme 2018. 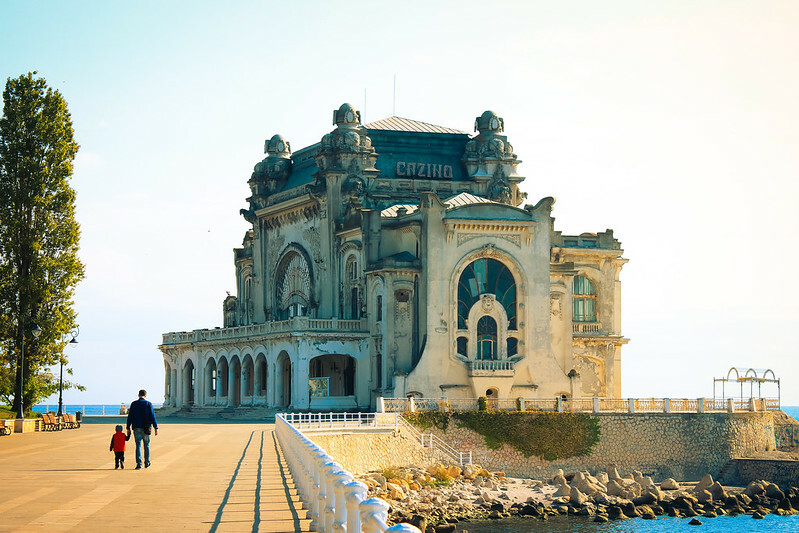 Built in 1910, the Constanta Casino has become a landmark of the Black Sea shore. Daniel Renard, the Swiss Romanian architect who designed the building, opted for a lavish expression of Art Nouveau to reflect Romania’s modernisation during the reign of Carol I. Following many years of alternating commercial and state held responsibility for the building’s care, during the 2000s, the Casino was abandoned. It remains so to this day due to local authorities’ inability to find funding and to launch a rescue and restore operation. There have been several transfers of administrative rights from the Municipality of Constanța, the last of these being to the National Investments Agency within the Ministry of Development. The main danger to the building comes from the corrosion and rusting of structural metal parts. Sea storms and winds have shattered most of the windows facing the sea. It is very likely that the roof will collapse if this process continues. The nomination for the 7 Most Endangered programme 2018 was submitted by the ARCHÉ Association. 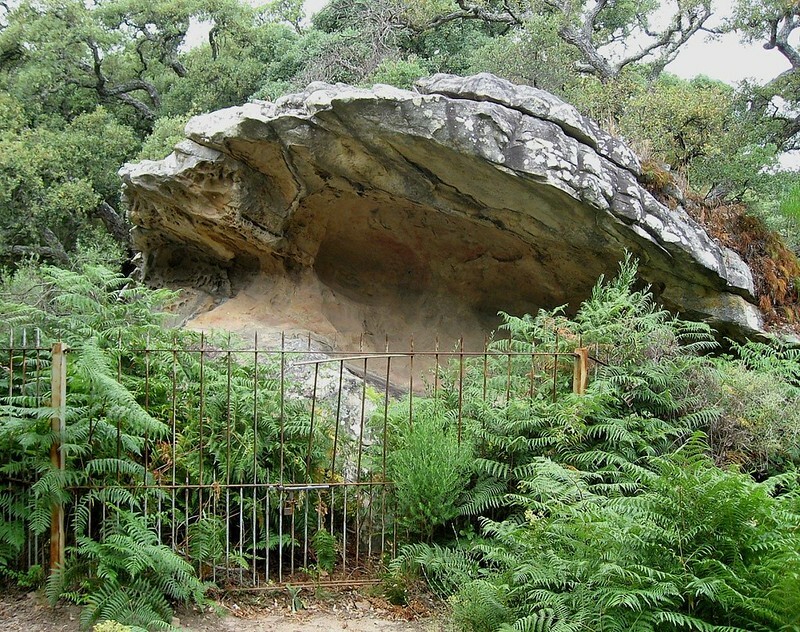 This exceptional set of Prehistoric Rock-Art Sites developed in an extended period of time of about 20,000 years, stretching from the Upper Paleolithic to the Iron Age. It consists of approximately 300 caves and shelters, within which are paintings and engravings of animals and human figures and symbols of diverse styles, the majority belonging to Iberian Schematic art. Biological deterioration, structural damage, misuse and acts of vandalism have greatly compromised this important rock art. In fact, misuse and acts of vandalism have done more damage to these caves than natural processes have in thousands of years. The drastic rate of decline in the quality of conservation of these sites – located in the province of Cadiz – has motivated several organisations and individuals to raise awareness of the serious threats to this important heritage site to the local regional and national authorities. However, only minor action has been taken to alleviate the threats. Hispania Nostra made the nomination for the 7 Most Endangered programme 2018. The Grimsby Ice Factory is understood to be the earliest surviving ice factory in the United Kingdom. Designed by the engineer W. F. Cott, the Factory dates from 1900 and is a substantial Grade II* listed red brick industrial building. The site is arguably the most prominent physical reminder of Grimsby’s fishing and maritime heritage, the largest fishing port in the world at the start of the 20th century. 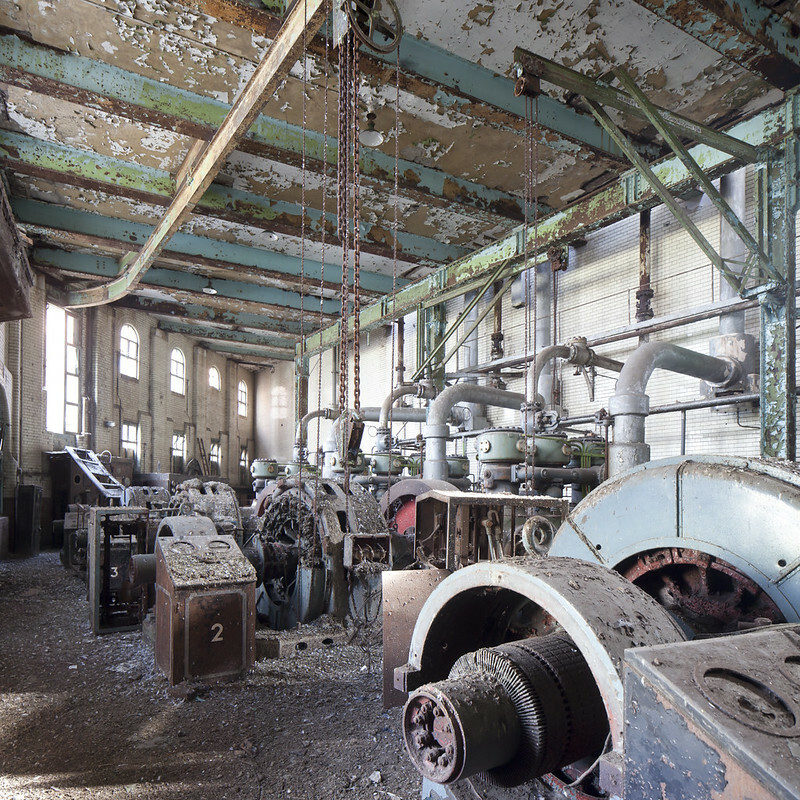 The Factory has been in a state of serious decline since its closure in 1990. The roof is now severely damaged allowing water into the interiors, and much of its metal work and electrical fittings have been stolen. Moreover, there have been threats of demolition. The Factory has remained in private ownership. A mixed use development proposal initiated by the Great Grimsby Ice Factory Trust, estimated to potentially create upwards of 125 jobs, has so far been unsuccessful in securing funding, resulting in the future of the Ice Factory remaining uncertain. The nomination for the 7 Most Endangered programme 2018 was made by SAVE Britain’s Heritage.